In the past, my biggest gripe about layering was bulk. I felt like the only way to stay warm was to look like a marshmallow. And as awesome as marshmallows are, it’s not super practical to be dressed like one. So, here’s my formula for bulk-free layering. To me, this is the most important layer. It’s the layer that’s right up next to your skin, so it determines the way your body feels in the outfit — which is a big deal. Usually, no one will see this layer, but even still, it’s nice to have a good-looking base layer that can stand on it’s own. You know, just in case you get too warm and need to shed your other layers. 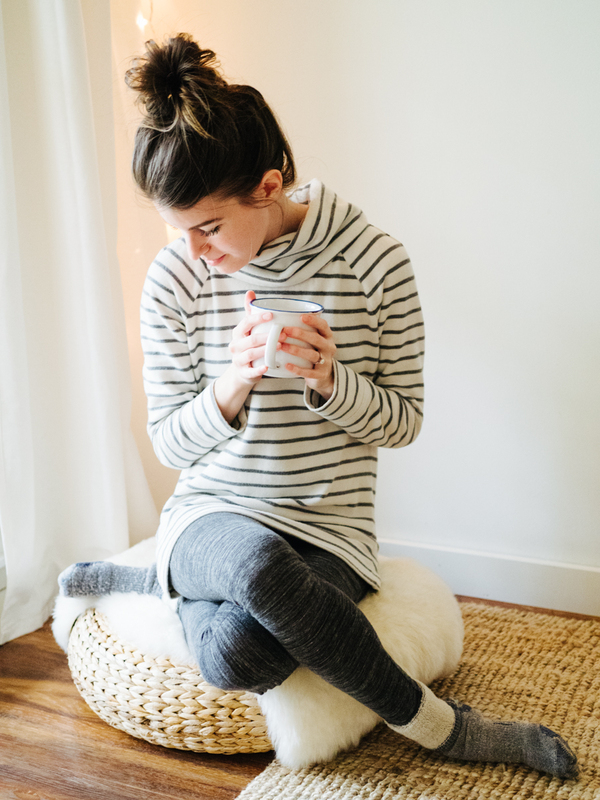 In this outfit, I’m wearing my favorite long sleeve base layer under my sweater — it’s soft, lightweight, and stretchy. You could also do a fitted short sleeve tee. My main layer is usually a loose sweater, like this one, but it could also be a lightweight knit or even a silky blouse. If it’s super cold outside, I go with a wool sweater. And remember, it’s not itchy because I’m wearing a base layer. Winning! My love for wool can’t be quantified. It’s ridiculously warm and it’s naturally stain and odor resistant too. Did I ever tell you about the time Aaron spilled an entire glass of red wine on my beloved wool cardigan? I ran to the bathroom thinking it was ruined, but after blotting it with cold water, there was no sign of the stain. Within 10 minutes, I was out enjoying a fresh glass of wine — stain free. Unbelievable. This could be a rain jacket, a parka, a sweater coatigan, or a pretty wool coat. But no matter what, I value function over form when it comes to my outer layer. Here, I’m wearing a rain jacket, perfect for a drizzly day. One of the biggest layering mistakes I used to make was buying outerwear that was too fitted. Sure, it fit perfectly with a tee underneath, but a bulky sweater? Not happening. Nothing feels worse than having your sweater bunched up in your armpits because your coat is too small. I’m currently on the hunt for a super warm winter coat, and when I go to the store to try them on, I purposely wear bulky sweaters. That way, I don’t make that mistake again. BONUS | Scarves, hats, gloves, socks, etc. If it’s super cold out, add these bonus layers to warm up even more. Curious how to wear socks with ankle booties? Here’s three examples. This outfit, with all it’s layers is probably best for a 40 or 50 degree day. But swap the rain coat for a parka, add a scarf and a hat, and you could be set for a day in the teens. The key to it all is to get dressed knowing you’ll add and remove layers throughout the day. So tell me, how do you approach layering? Got any tips to keep things bulk-free? Also! 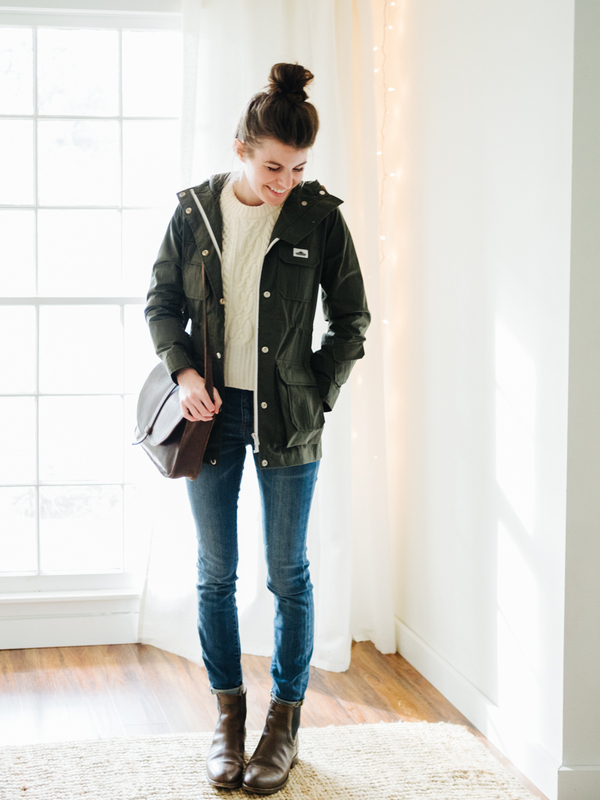 Do you have any tips on finding a high quality, warm winter coat — not just one that looks warm? I’m on the hunt for a truly warm winter coat, so I’d love to hear your insights. Share away in the comments. P.S. No post tomorrow, but see you Monday! Thanks for another great post. In terms of outerwear, I would highly recommend Patagonia! I’ve seen lots of good, warm, quality things from Patagonia, Columbia, Eddie Bauer, and Canada Goose. My current one is from Eddie Bauer, but I’ve been eyeing one from Columbia that claims to be EXTREMELY warm. :) Good luck! I second checking out Patagonia, because not only are they incredibly warm and well-made but I think you’d also appreciate the ethos of the company. They only use 100% traceable down from well cared for geese, and they take incredibly good care of their employees! I looove Patagonia. Another great part of their ethos is that they will repair any damaged item, and if they can’t repair it they often (but they don’t guarantee to) replace it with new and recycle the old one. I had a Gortex waterproof shell that I had for 13/14 years before some of the taped seams failed. When they couldn’t fix it they offered to replace it with a brand new jacket and all I had to pay was the postage to send them my old one! Excellent customer service and now I am a lifelong fan! Love this post! Coming from Canada, layering is something for mid-season in my case, as our winter is usually quite cold! For warm winter coats, I would recommend that you look into good quality coats with a god reputation, that are made locally (Canada especially). For instance, Kanuk, Rudsak, Mackage! The prices are quite steep, usually, but you pay for quality. My mom still wears the Kanuk that she bought 15 years ago! Base layers have been a game changer! I didn’t realize how many sweaters of mine I hated to wear because of the itch – but base layers have solved the dilemma! I’m on the hunt for a v-neck base layer. One of my favorite sweaters is boxy and wool but the neck is too low for my typical crew base tees. Warmest jacket ever: https://www.thenorthface.com/shop/womens-jackets-vests-insulated-goose-down/womens-miss-metro-parka?variationId=H2G If you don’t mind looking a bit like a marshmallow/like you’re wrapped in a sleeping bag, nothing beats this coat. It has helped me survive many a northern winter (going on 8-9 years at this point) and it’s surprisingly light weight. -13 with windchill here in Northern Illinois right now. My layers include leggings under my jeans, fleece socks, t-shirt under long sleeve t-shirts with a cardigan over with a scarf. To leave my house I will add my fuzzy warm boots, my thick oversized zippered sweatshirt (this is my coat because I have not had luck finding one that fits right over all the layers yet.) Hat, gloves, fleece scarf. I don’t wear wool for ethical reasons to lots of fleece. “In fact, 85% of the human-made material found on the shoreline were microfibers, and matched the types of material, such as nylon and acrylic, used in clothing. 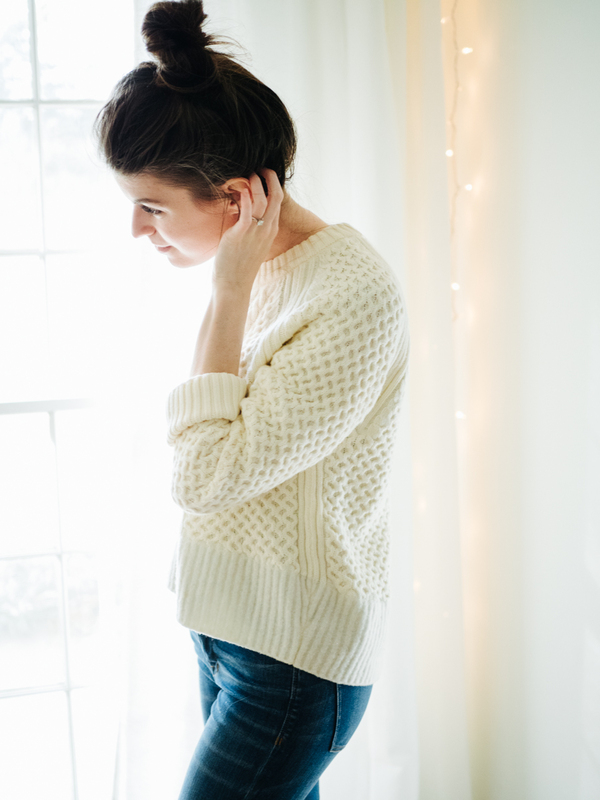 I have a couple of snug and cozy cotton cable-knit sweaters that keep me warm. You could definitely find some sustainably farmed cotton to replace wool, if that appeals to you. Yeah, so many people on this earth, and we all have so much stuff. Buy used when possible. Always more guilt free and environmentally friendly. Cotton has never been warm enough for me and so heavy. Have you tried Stance socks? They are the biggest thing to hit our retail floor. Skaters and surfers of all ages, men and women, children and adult, LOVE them! Plus, they change up an outfit quickly with their funky designs. They are so soft! In the UK we’re very familiar with layering! 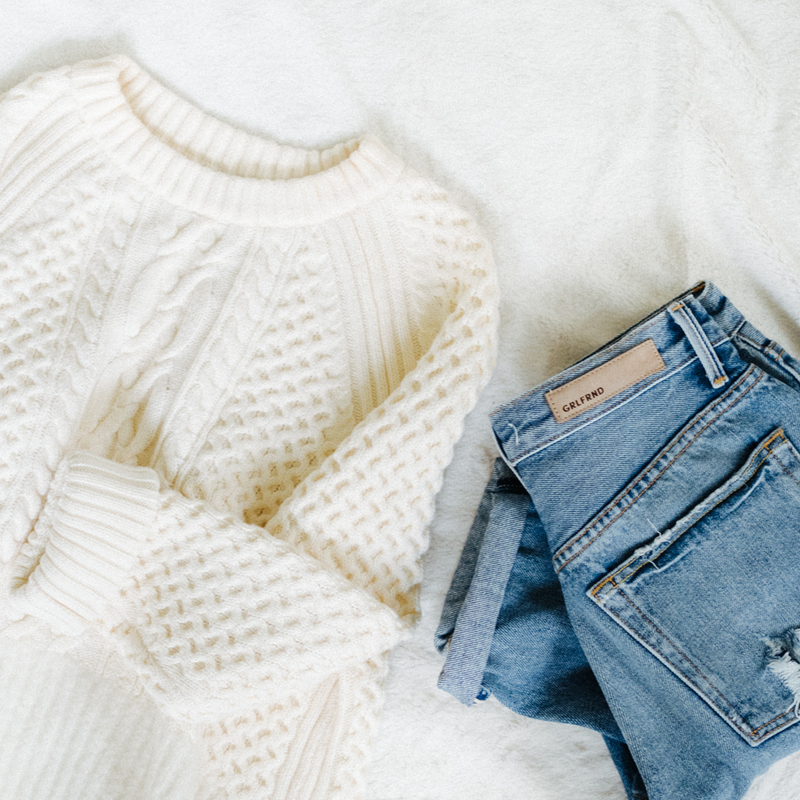 All but the warmest summer days need an extra layer. I think your approach is perfect. The trick is definitely to have a fitted base layer and also lots of thin layers can also be very warm. I completely agree about wool – I love it too, it is so warm. For those who find it itchy, merino or cashmere are very soft. This year I bought 2 extra fine merino jumpers from uniqlo and have worn them year round – so versatile. You can’t beat a down jacket with a hood for warmth. We regularly get subzero and single digit temps in the winter here in western New York. my down coat is frequently almost too warm with heavy layers underneath. for years i bought only wool coats, but the down jacket really is much warmer. For a truly warm winter coat, you want a multi-layered one. They usually come with an outer-rainproof shell and a iner fleece-like one (I don’t know if you have Northface’s coat in the US, but it’s my go to brand). Or you decide to go for the really really warm and you buy a Canada Goose or a Canuck coat. (You want warm? Trust the canadian expertise! It’s currently 5 in Montréal… and we are not in winter yet!) But my most important advise would be : buy good winter shoes. If your feet are warm, you’ll get away with a lighter coat. I’m still struggling with layering without looking like a marshmallow. I just get so cold in the winter, so usually, I’ve got 3-4 layers on top! I live in far northern Minnesota, where it is -20 degrees today. For you readers who live in super frosty areas, may I suggest a merino wool base layer and socks? Mine are from smart wool and aren’t even a little bit itchy. On a cold windy day, my classroom in our old school gets pretty drafty, and the wool base layer is a life saver. Loved this! I always feel like a puff ball when I layer too, so this was a good read. In terms of winter coats, we just moved to Denmark this past February and did a complete outerwear overhaul. I’m loving my Marmot 3 in 1 commuter jacket. It has a down coat that zips in and out of a waterproof shell. It’s mid thigh length and cut for women so I don’t feel like I’m wearing a garbage bag. Both pieces are beautiful on their own, and worn together they keep me super warm and dry in Scandinavian winters! Good luck! Must say you’ve nailed it bang on with this post! Here in Canada (about 6 hours drive north of Seattle) this is exactly how we do it, with a daytime high of 14. Not quite cold enough for felt bootie lined boots, but I do wear my grey wool felt booties on their own with loungewear, my rustic version of chic. Looks great with plaid flannel shirts and jeans too! (You probably don’t own such a pair 😉 but here we use them snowmobiling and definitely further north). We love the snow and cold for this season and can still manage to look put together! I’m a big fan of down…puffer type, mid thigh length with a belt and hood. There is nothing lighter or warmer than this style coat. I, too, try coats on with sweaters but if you don’t want to pass out from the heat in stores, I recommend just grabbing a puffer vest off a nearby display…it’ll serve to bulk you up temporarily without melting you!!! Try your coat on over that!! For base layers, I rely on Uniqlo tops. They are super soft and have a great fit. Plus they come in turtle neck, scoop, and crew neck styles. They have quite a few color choices and they look great on their own. They run $15, $10 on sale! I live in Northern Michigan (where the wind chill is currently -5 today) so layering have a warm winter coat is SUPER important to me. 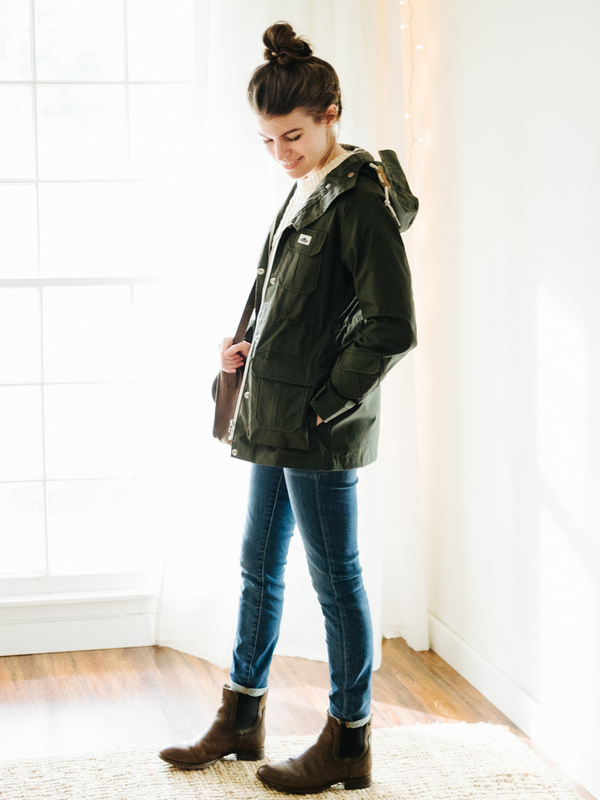 My down parka is from Aritzia and I love it. It fits perfectly, is incredibly warm, stylish, and best of all it’s Responsible Down Standard Certified, so I can really feel good about my purchase. I’m curious about how many base layer shirts you have. Are they all the same color? Have a great day! I agree with Aritzia. I just got a TNA parka. While it’s not regularly cold enough in KC for it, I’m so exited to take it to Colorado and Canada for our ski trips this winter. Thank you Thank you Thank you! 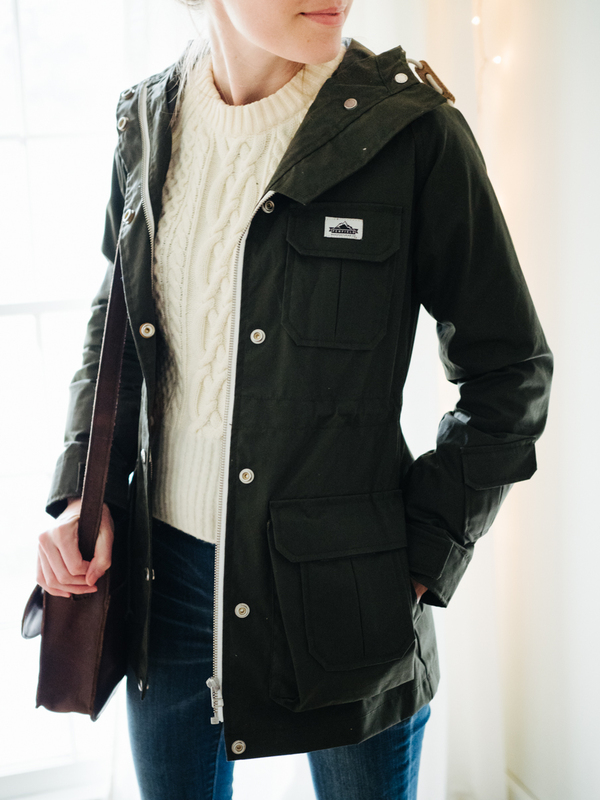 I am basically crying as a girl that lives in Maine and has desperately for years been looking for a weather appropriate stylish coat! Hi Caroline – Have you looked at Nau? I indulged in one of their beautiful down coats 2 years ago & I’m still in love. Its made from 650-fill down so its super warm without needing to be bulky. The quality is top-notch. I did some pretty hard travelling for 9 months in mine & it still looks brand new. Highly recommend! Nau.com. Good luck in your search! any description/ photo on base layer brand name or maker and type of fabric you prefer? ie Patagonia polyester or catalog silk etc? I put off buying winter parka for a while because I didn’t want to spend the money but finally decided warmth is worth it. I live in Nashville, and the high is only in the 20’s today. So grateful for my parka. I actually bought it last year in January which is a great time to go coat shopping because stores already have them on clearance. I got a North Face Metropolis. And you are so right about buying comfortable outerwear. I’m usually a small or x-small and purchased a size small. It looked super cute – nice and fitted, but the arms felt a little too short over my sweaters and the coat felt really tight when I’d get in and out of my car. Exchanged it for a medium, and I’m so glad I did. It’s like zipping myself up into a warm down blanket. Love it! For a good winter coat, if you can invest! It is worth the money in the long run. Patagonia, North Face and Canada Goose are all quality brands. I have a great one from Patagonia that is like 3 coats in one. There’s a puffy coat and an outer shell that is waterproof and wind proof. You can wear them all together or each separately depending on the climate. And hoods are essential! In WI, where our high is 5 today, and windchill makes it even colder, a down coat is a must. They may make me look more marshmallow-like than I prefer, but function over form wins in this climate. A note about that jacket, in case anyone sees it and falls in love with it. I spotted the same jacket on a girl at Trader Joe’s one rainy Saturday evening and immediately hunted it down online. This version is the Penfield Vassan, not the Kasson, which is unlined and is 70/30 nylon/cotton versus the 60/40 blend in the Kasson jackets. As far as I can tell, it’s sold out and the dark green color modeled here was sold primarily by Madewell. I managed to scoop one up on eBay. Tip for a great warm winter coat: Didriksons 1913. It’s a Swedish brand and designed for Swedish winters, so really warm. They’re also waterproof. I’ve had my parka for three years and actually look forward to winter so I can wear it again. I absolutely love it. Let us know what warm coat you buy! I’m also in the market for one, but am overwhelmed by choice. One of my biggest challenges in finding base layers are ones that will match the neckline of my sweaters. I hate crewneck style on me, so my sweaters are all boatneck, v neck or scoop neck. I have trouble finding base layers that will not peek out! I recently moved from Alabama to Kentucky, and having also lived through a couple of North Carolina winters, I had promised myself I would never ever get caught shoveling snow without proper snow gear again. I picked up a pair of snow boots on Zulily, and there’s a place close to my parents in Alabama called Unclaimed Baggage (https://www.unclaimedbaggage.com/), which is exactly what it sounds like. They purchase lost and unclaimed luggage from airports and sell off the contents. Every year they have a big annual ski sale, and this year I picked up a Helly Hansen ski jacket and a pair of ski pants, all second hand but in great condition, for about $160 total. If you really want warmth, definitely look for real down, not the synthetic polyfill stuff. I’m a big fan of LL Bean for quality, too – and have had great success with their customer service. Basically, buy one item from them, and they will replace it no matter what happens to it. It’s already -20 C here in Ontario so the layers have been broken out. the key is to be warm when you’re outside but to have easy removable layers for when you go inside and there is heating. Nothing worse than overheating in all of your layers. This is one of the main reasons I love online shopping, no need for the coat-less sprint into the mall! PS thanks for the layering tips! I totally agree on the bulk thing, but this is helpful! Thanks for the post, I like your thoughts and the outfit. Your posts always leave me thinking creatively about what I have instead of wanting to shop for more. Really, your post is often one of the first treats after a long workday. I try on winter coats with sweaters underneath, too. But cocoon cardigans were stick bulky under the armpits. When it’s not too cold (= above freezing) I wear a poncho over my cocoon cardigans to avoid the marshmallow feeling. Works fine, but not for long hours outside. Great post. Winter is the most challenging season for me in terms of clothing. I am always cold. I grew up in P.R. and moved to New England 15 years ago. I love the seasons just find it a bit challenging to dress in winter with all the layers that I need to stay warm. Merino wool socks have been game changers. A couple of years ago I found a down/feather long jacket for $20! It has been the best winter coat I’ve had to date. I also have a Columbia sportswear jacket to hang out in the snow (playing or shoveling). I really recommend Nau for coats. They are high tech, but designed for city people, meaning you get the benefit of something from Patagonia with NYC level cool factor. The,y are also extremely environment and people friendly. Ethical fashion at its finest. I own their Prato Wool Down Trench – its wooly outside, 100% waterproof (I’m in Portland, so super important), down lined and not overly bulky. There’s also a removable hood, which is super useful and can be removed if I want it to be classier. It’s not overly hot in mid range temps and I’ve been in it as low as 5 degrees without any chill! Good luck, coats are a tough one! That’s two for Nau! Thank you, Rebecca! I am shopping for a mid length light weight down puffer coat. They are super light weight, not bulky, but nice and warm. Bonus, they usually roll up into a tiny pouch that packs easily. These are such great tips for layering. I’m currently struggling with that myself since I just end up piling on more and more clothes just to keep warm. I wish that I had some good tips for finding a coat, but I’m also trying to figure that out myself. Patagonia. I got their Tres 3-in-1 coat last year and it’s amazing. 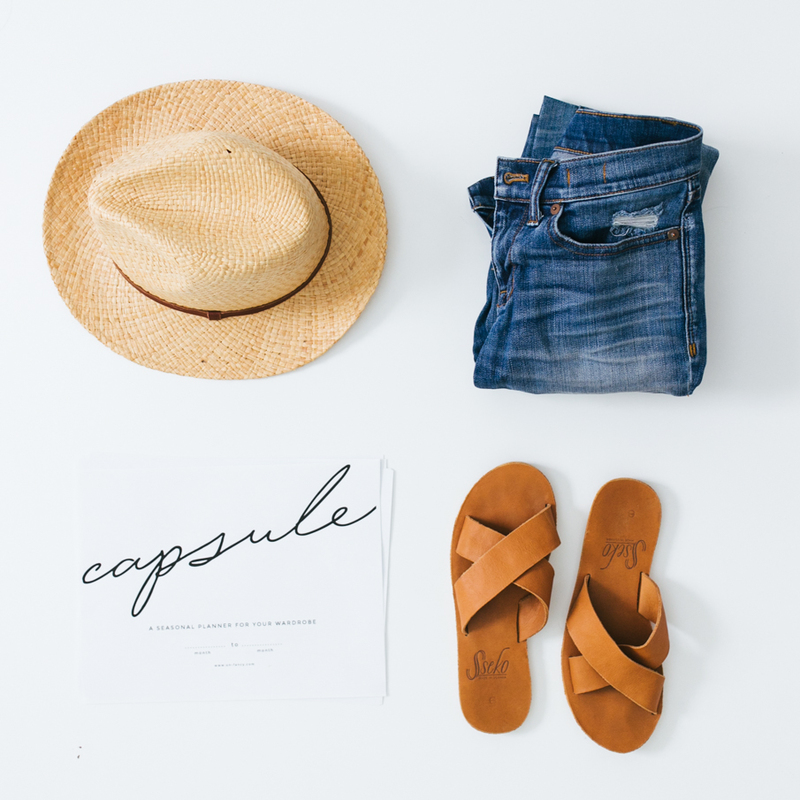 If you want an awesome look into how the company is run the Podcast, How I Built This, just interviewed their founder and it’s all sorts of inspiring for those of us who are anti-fast fashion and looking for sustainable options. Good luck! I was on the coat search last year and it can be overwhelming. Hi there! I recently moved to Chicago from San Diego and, out of fear of the winter, felt that I needed to scour the internet for the warmest parka that I could afford. I ended up with Penfield’s Lexington parka (link below) and it’s so warm that I only wear it when it’s bitter cold outside! The other day it was 26F and with a sweater and boots I walked a half mile with it open because otherwise I would have been sweating. Can’t wait to watch it stand up to the polar vortex this weekend :). Happy shopping! Hi Caroline! I always enjoy your posts. I moved to New England two years ago and have had to start seriously considering the cold weather when planning my wardrobe (or else I would never leave my house). I would suggest looking for a warm coat from companies that cater more towards outdoor activities like hiking and camping instead of from those that are more about fashion. I suggest REI, LL Bean, Patagonia, or Columbia. A lot of these places will give their coats some sort of weather rating about the kind of conditions they are intended for. My layering approach here in Scotland is to create one warm impermeable layer under my clothes. You can get away with surprisingly lightweight fabrics to layer as long as there’s no nook or cranny where the cold air can find your skin. So base layers tucked into tights; high rises with long tops tucked in, etc. The thin fabrics I favour for base layers are also some of the warmest, like silk and merino wool. I tend to wear a ribbed base layer as they fit very close to the body, which helps to reduce bulk but also keeps me feeling feminine, a perennial difficulty in winter dressing. Sometimes I wear a vintage thermal camisole underneath a base layer, so cosy with that edge of girlie charm. I’m a big fan of vintage thermals in general, I find them warmer than modern versions. The same is true of coats – my cosiest are all vintage wool in various styles, quite heavy but made to endure rough treatment and with a lot of attention to detail. I bought my favourite, a ’60s trapeze in an autumnal check wool, for £24 nine years ago. I’ve worn it to death and only this year has the lining needed replacing, a comparatively small expense. All such excellent tips. Thanks for sharing, Clare! I have Canada goose parka and a Woolrich parka, they are most def worth their price! This would definitely not be good for winter here in the ski-resort filled mountains, but I can picture it perfectly for later fall, or even in the spring. Looks great as always! The best habit I have gotten into is checking the weather before I get dressed in the morning. Nothing is worse than wearing a super cute outfit to work and getting rain poured on you. Base layers made from a hybrid of natural fibres are my favourite, such as merino-silk or silk-cashmere. The silk keeps everything light but it’s still incredibly insulating when combined with the wool. Most importantly it’s breatheable too, so you don’t get stinky if you sweat, and you won’t overheat. For super cold days I’d double base layer with silk-merino/cashmere >and< a lightweight merino-cashmere before adding a main layer. Again, very little bulk because the combo fibres are the best of both worlds without the marshmallow effect, but still incredibly insulating and all breatheable. I'd also play with sleeveless or short sleeve to avoid tightness on the arms if I was double basing, but will still keep the torso warm. And if the words silk or cashmere freak ppl out based solely on price, there are several places that sell quality of both or combined at affordable prices. These materials will also wear and keep better than any synthetic equivalent purchased from an outdoorsy place. For finding a warm coat – I lived in a cold climate for a year last year (VA, colder than SC) and bought a Columbia 3 in1 jacket. It’s perfect!! What’s great is that is not too bulky – it’s looks like a winter coat so it isn’t form fitting but it still looks good and doesn’t swallow me up – and since it’s a 3 in 1, I have options with the warmth level. I can wear the outer layer for a cool day, the inner layer for a cooler day, or both together for the oldest days. I highly recommend. I got mineon sale at REI and chose one that wasn’t the most expensive and it’s great. For warm coats osc cross is great! Canadian made. I’m looking into the arc teryx jacket, ethically made and fits petite frames like a charm! Thanks for the tips! I’m in Washington where we don’t quite have Canadian weather, but we are professionals at buying outerwear. :) I have tons of Patagonia outerwear and can definitely vouch for the ethics and longevity (my oldest stuff has been going strong for 8-10 years). I’ve got a Columbia down jacket (hip length) that’s incredibly warm, and my warmest coat is a Merrell parka (I’d link to it but it looks like it’s no longer available). Best to look for: a size up or a looser fit as you mentioned, hidden cuffs to keep wrists warm, down or primaloft (there are different ratings for the latter), a parka length for the most warmth, water resistant. I saw someone else mentioned really good socks to stay warm and I have to ditto that- I LOVE my smart wool socks. Not itchy, tons of patterns/colors/types, and responsibly made. Check Sierra Trading Post if you haven’t before. We’ve bought lots of outerwear (and Smartwool!) there over the years- great deals. Also, my fav base layers are the Gap pure body tees. I must have half a dozen by now because they’re the first thing I grab! Love the jeans with boots detail you showed! I have a pair of taller Born boots similar to what you have and struggle to wear them with all but the skinniest of jeans and leggings. Yours look so cute. I’d love to see a sweater round up some time- we are at the point in winter where I wear one 6 out 7 days a week and I’ve nearly worn out the ones that I have. Alrighty, this is going to sound MAJOR weird to some (likely, most) folks, but I’ve heard wonderful things about knitting with dog fur/hair. Apparently, you can even get your own Fido’s fur made into something wearable by specialty shops online – a resource some people use to keep their pets close to them even after they are gone. I’ve never actually worn anything made with dog fur, but hear it beats out even felted wool in terms of water-resistance and long-term warmth. It is something I wouldn’t mind trying if someone dropped one off for me, LOL. it definitely pushes the envelope in terms of societal norms, but I think it’s a neat idea, especially for dedicated pet lovers out there. Ah, I loved this post. It’s true that the key to staying warm is all about layering. BUT I found out, that the materials of the layers matters a lot. Silk, polyester, or very fine wool (merino) as a base layer instead of cotton makes a huge difference, because cotton can not keep the warmth from your body as well. It’s something I learned by chance when I went hiking in winter – and then I just applied it to real live, fancy dressing and since then I haven’t been cold. Yay! Do you layer on the bottom as well? This look could be my uniform for the whole winter. It’s everything I like to wear. And also, what a great concept! Bulk free layering. Loved it. I usually dress a lot in the winter as I am that type of person freezing with 5 types of layers on so the bulky sweaters are the best for me along with fleeces and warm long cardigans. As a baselayer, I use the long sleeve tees that I usually dress for climbing. They keep the sweating away, easy-dry and also keeping me warm. I have mine for over three years and I intend to keep it three more at least. Lots of good tips on coats here, so I’ll add a recommendation for silk base layer and scarf. 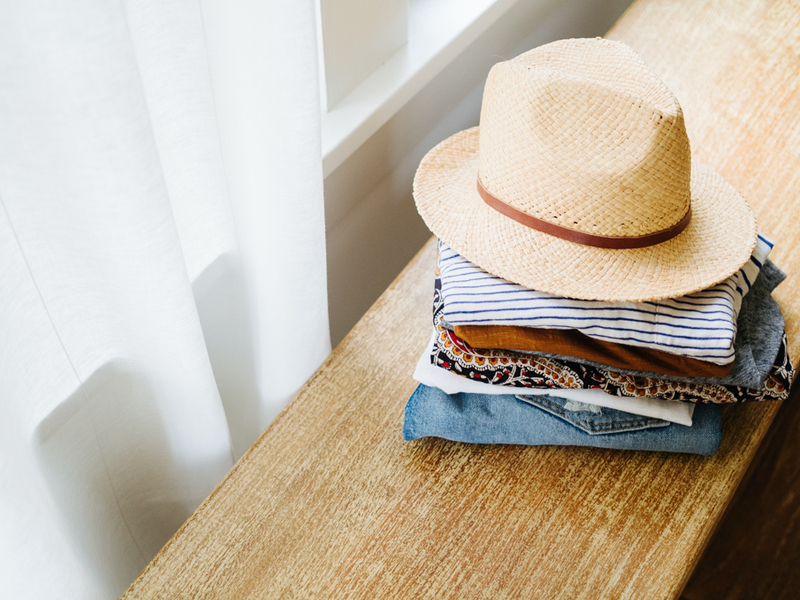 Silk is soft, lightweight and regulates body temperature — that means it keeps you warm in cool weather, but cool in hot weather. For years I wore wool winter scarves, then I got a beautiful silk scarf as a gift. It feels much, much less bulky, but keeps my neck much warmer than a wool scarf. AND once you shed the coat, but the room is still a bit chilly, you can keep the scarf on! I want to add support for the value of silk long underwear as a base layer. I like the long underwear scoopneck tops from LL Bean – they are thin enough to wear under long sleeve t-shirts or light sweaters and they really make a difference for warmth! I just moved to Alaska from North Carolina and am learning so many new things about layering! I love the mountaineering socks from Darn Tough- knee high and really warm. I prefer these to leggings under jeans, since my jacket goes down to my knees as is. I’m trying to find the balance of adding extra warmth just where I need it, not all over! I also LOVE a good down vest. This one from Brooklyn Industries is great! It’s not lightweight, but it’s very warm, and well-made, and has all of those special details like ribbed wrist cuffs and a cozy hood. I loved it when I lived on the east coast, but it’s a little too warm for Pacific Northwest winters. Thanks for the suggestion, Steph! 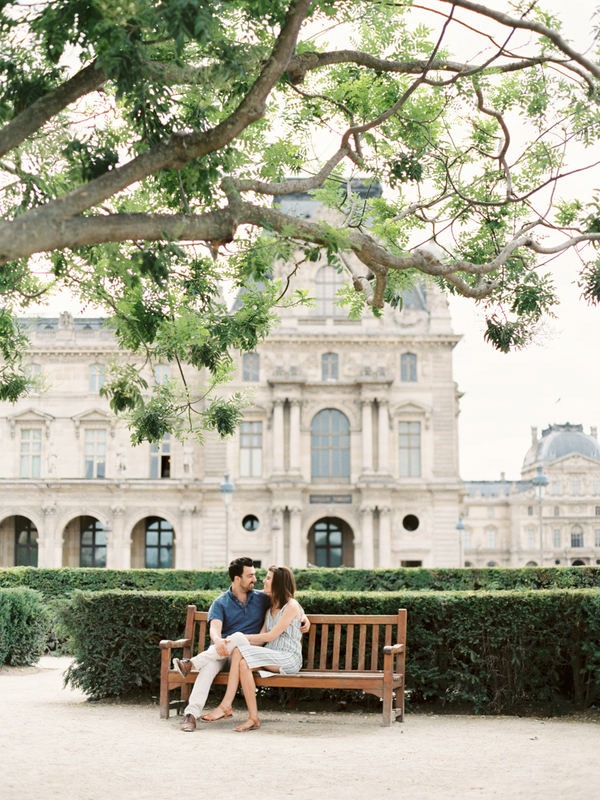 :) Love that it’s lasting so long! I really love the “jeans & boots” outfit! It is so warm and sporty. I’m used to wear something similar in the winter working days. It make me feel in a such comfortable sensation. Love this post! My personal favorites for base layers and jackets are merino wool pieces from Icebreaker. While not waterproof, they are super warm, non-itchy, and easy to take care of. They have an admirable supply chain, too (and a great warranty policy)! I prefer to shop used when I can and a few months ago I stumbled across a beautiful camel hair coat that was originally sold from Nordstrom at a thrift store. While I do understand the ethical reasons not to have a camel coat, I didn’t mind buying it used and it’s been so warm. There are always so many beautiful, timeless coats at secondhand shops, so I definitely recommend checking them out! I moved from Southern California to Moscow, Russia for 2 years. To avoid buying an entirely new wardrobe, I bought 2 sets of long johns: “expedition weight” from REI and a pair of silk long johns, a fall/spring coat that was lined and had a drawstring at the waist to hold the heat in and a long wool coat. I also had wool hats, scarves and shearling lined mittens, an inherited black cashmere crewneck sweater (from the 1950’s) that I layered under everything and fleece inserts for my boots. If you don’t live in the cold long-term, having that warm base layer and keeping your head, hands and feet toasty is key! I live in Seattle and I got so fed up with everyone wearing black outerwear. SO BORING. And, it’s hard to see pedestrians in the dark which is a serious hazard. Last year for my birthday I got the Burton AK 2L Embark jacket. It comes it lots of fun colors and patterns and is incredible quality. The Gortex keeps me totally dry even in a frigid downpour. And I swear to you – cross my heart – it magically keeps you just warm enough, no matter the temperature. Like from 50 to -20, it’s just right. I don’t roast, and I never freeze. How do they do it?! It’s about $500 but well worth it. Good luck! Whoops, one more thing! It’s also not too bulky. Emerson Fry makes amazing winter coats. Bonus is that they’re small batch and made in the USA and she frequently has sample sales. Hi Caroline! Thank you for bringing responsibly made options to the surface in your blog. What you’re doing is so critical and so appreciated as we look to the future. XOXO! I moved from Austin, Texas to Northern England last year and learning to layer has been a life saver. While I’ll never be good with the cold, I’ve definitely gotten to the point I handle it much better! After trying the traditionally puffy jacket (and feeling like a marshmallow for 4 months) I found a clearance J Crew Stadium-Cloth Cocoon Coat this fall that has treated me like a dream. It’s wool, which I share your feelings about, and is such a wearable piece. It dresses up and down well and keeps me incredibly warm without any bulk. While it’s probably too warm for the central Texas winter your having now, it’s been too good a purchase to not share! Nice tips! I have a really really warm coat from Uniqlo. It’s watteproof and it’s super light, it even comes with a small bag that you can fold the coat and put it inside. I love it! Thank you, Caroline and all Un-Fancy readers, for all of your comments. I have gone through *all* of your tips, ideas and recommendations as I am searching for a warm winter coat as well (I seem to always be cold). It’s a lot of work to find the appropriate coat, but I believe it’s worth it. I will also be getting some cozy base layers :). I saw that a lot of your recommendations include down coats. However, many companies use down of undeclared origins. Personally, I will not buy any of those as I saw articles on how down is often ‘produced’ (ripping the feathers from the birds as they’re still alive, every month or two!). I will opt for other, man-made materials, or re-used / responsibly produced down. Thanks again, this articl and the comments have proved to be SO useful!! !